The February theme from Art Elements is Birds of Prey. I was initially thrown off when I saw the title of the theme reveal. But, on reading Cathy's post and realizing that, of course, owls are included in the "Birds of Prey" category, I knew I had my focus for the challenge. I love owls. I'm sure it stems partly from the fact that several of my favorite movies include owls: Labyrinth and Harry Potter to name two. Without further thought, I ran into my husband's shop looking for scrap wood as a base for my assemblage piece. 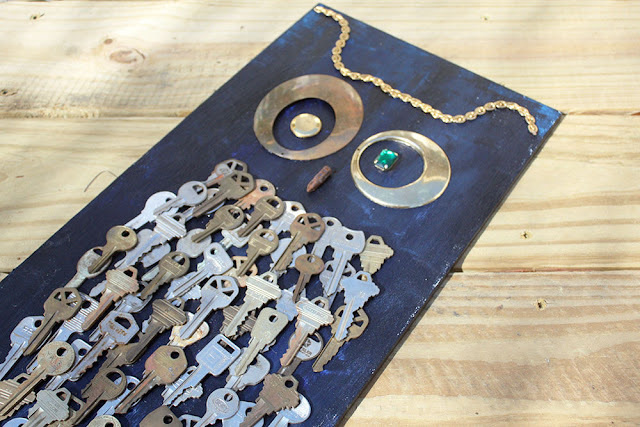 After testing out an assortment of salvaged jewelry and other found objects, the scrap wood was sanded, covered in gesso, and painted a blue-black. Then the process of gluing down the assembled elements with E6000 began. As has been my habit as of late, I recorded the process of creating my Art Assemblage Owl to share with you. There were a few hiccups as you will see in the video, but once everything was glued down and dry. I was absolutely smitten with the piece. I have been itching for this reveal. Since I did get the wood from my husband, and I knew the piece would be destined for our own home, I enlisted Pat's help for some of the decision-making on the piece. In fact, he was the one who came up with the idea of using buckles for the feet and suggested that I put a second layer of keys on the body for a layered feather feel. He also loves what I did with the chain on the head and that I used a rusty drill bit for the beak. As well, he's planning on creating a frame for our owl to make it easier to hang and give it a more finished feel. But, my part in its creation is complete. As for the necklace that had been set aside, I started by searching through my stash for an owl pendant but came up empty-handed. So, I knew I had to create my own. Since I do love working with paper, especially old books and dictionaries, I found the image of an owl in a student dictionary and clipped it to fit behind a piece of glass. To block out the majority of the rest of the words from the page, a frame was created with wood scrapbook paper. I was at a loss as to what to place on the back of the pendant but decided that the starry sky in which owls fly would be simple and beautiful. A piece of black paper my niece had colored with metallic paints was uncovered and seemed perfect for this use. The paper stack was glued together, sandwiched between the glass, and soldered together. 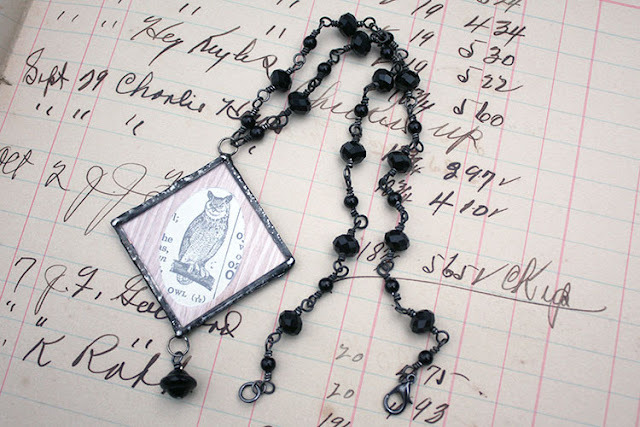 To keep the owl as the focal and the necklace as simple as possible, I created a black chain with glass beads and annealed steel wire. Though the initial prompt of this challenge filled me with trepidation, I cannot thank Cathy enough for the theme. I've come away from it with not only a beautiful owl necklace but also a stunning art piece for my house. Thank you, Cathy!! Please make sure to hop around to the other participants in this challenge and enjoy what they've created for it. I've shared this post at the following link parties: Mad Skills. 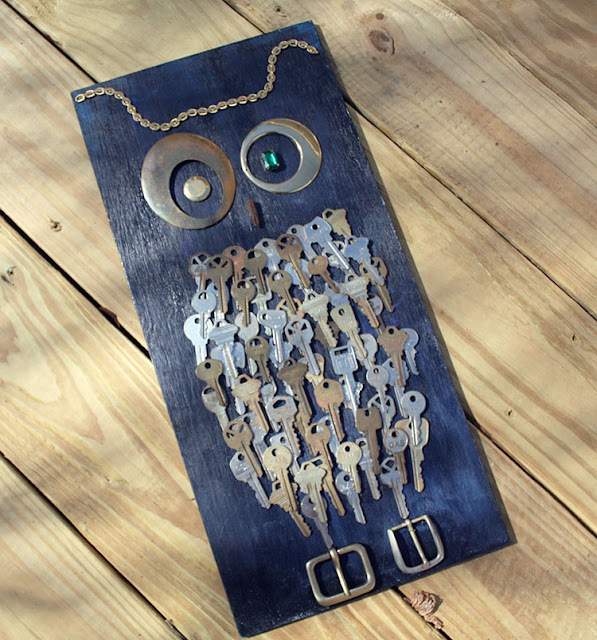 Well, your owl made of keys is so fabulous! 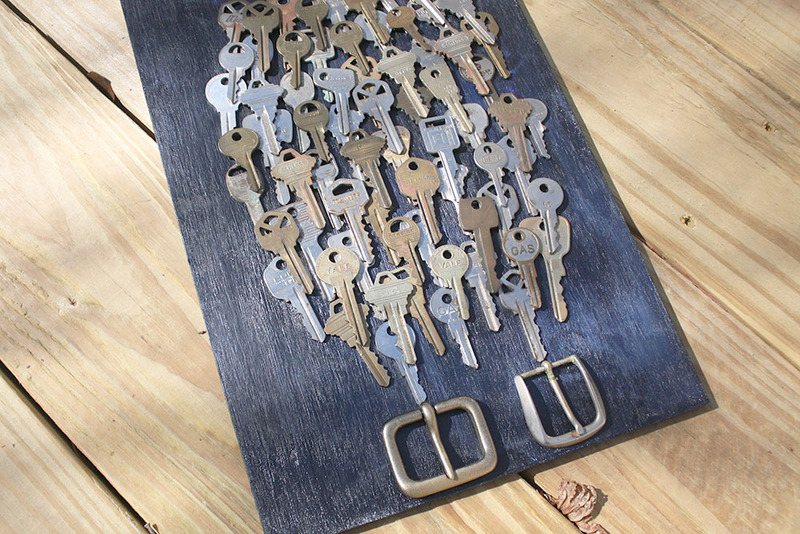 What a clever way to make use of all those keys. The beak is perfect and the buckle feet are genius. Love it! Lorraine, Having your approval on the assemblage means so much! He feels so steampunk-y to me in his style, and I know you know steampunk! The buckles were all Pat, I just collected and altered the one (as shown in the video). I can't wait to get him up on the wall! Thanks for taking a look. That assemblage is such a great idea. Kudos to you for coming up with something so unique! The owl necklace is just so sweet, too. Cat, Thank you! The whole idea of the assemblage excited me so much, I dropped everything else I was doing (like the necklace) to get it made. And, he worked out better than I had imagined. I'm tickled that you like him and the necklace too. Thanks again! Gotta grab the inspiration when it strikes! I love your owl you created for your home. It is such a hoot. I love his feet! Great job! 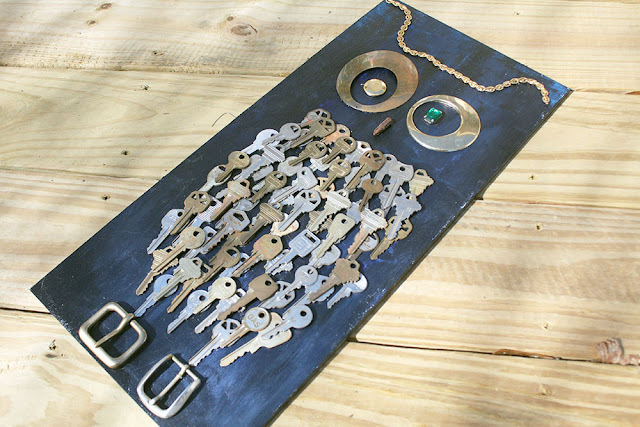 Your necklace is great, but I feel your excitement at your owl assemblage! What a great idea! I'd love to see it all framed and hanging in your house! What a great idea! OMG!! 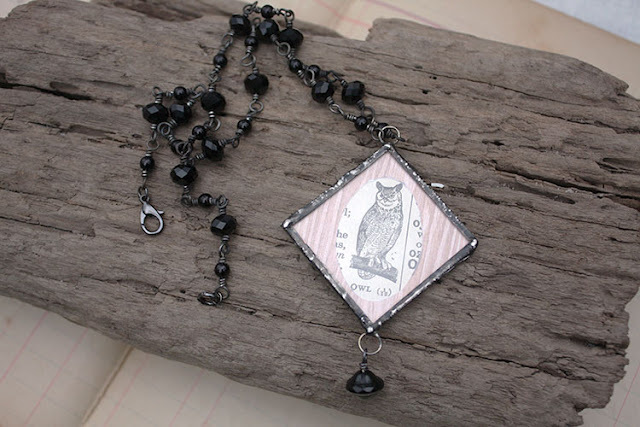 I adore your mixed media owl. I can't decide which is my favorite part, the layering of keys for the body or his cute little buckle feet. Well done! I love that our participants are 'thinking outside the box' for these challenges and pushing themselves to try new things. And of course I absolutely love your owl necklace. Creating a frame for the owl with the wood grained paper was perfect. Cathy, Your favorite parts are exactly the ones my husband suggested. Ha! He does have a good eye. I love having the opportunity to explore other creative options besides jewelry. And, this challenge is always perfect for that. Thank YOU for an awesome challenge theme! I love getting outside my box. When you posted on insta about the keys I was thinking what is she up to now.... lol What a gorgeous looking owl and I love the necklace as well. Brilliantly done Hope! I love the touch of the buckles. Super cute! This is such a great way to use random goodies from your stash. Your assemblage piece is wonderful - so imaginative and quirky...well done! Birds (incl those of prey) scare me so I didnt take part in this challenge. But I quite dig your cheeky owl. The use of keys make it look steampunk and buckles makes it quite a fashionable piece. Enjoy your creation, for it will have guests at your home really complimenting you on it. I can completely understand your hesitancy to jump in on this one. I have a thing against spiders, and have friends with the same bird-fear as you. So, I totally get it. I'm surprised that you're able to go through the hop - I know that images of spiders really get to me. I'm so glad you see the steampunk in the assemblage too. I can't wait to figure out where he fits once Pat makes the frame! Thanks for hopping by! I love that you and your husband created for your home together, that's a really special piece! Love the necklace too. 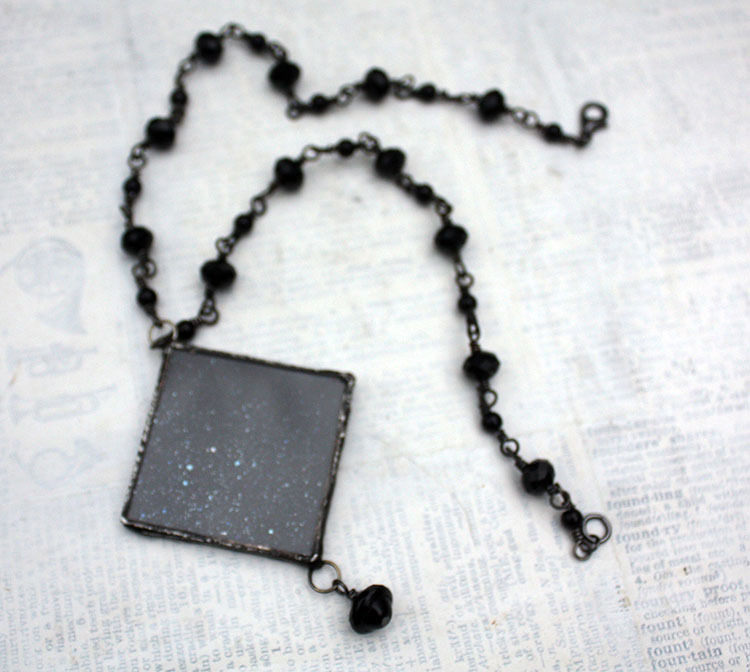 The necklace is lovely and the black beaded chain is the perfect setting for the pendant. That assemblage owl is spectacular. I tried assemblage jewelry once and was completely awful at it. Every piece on your owl is exactly perfect. Tammy, Thank you! Most of my attempts with assemblage jewelry have been very low-key with just simple additions and not the all-out collages. So, I can't rightly say if I'm any good at that. And, as this is my first real, large-scale assemblage, I'm not sure if it was just luck or something that I might can also make. More attempts/tests are definitely going to be needed. And, that's just fine by me! Thank you for you kind words. They definitely give me confidence to try more. OMG. Your owl artwork is just amazing! I love the layered keys for feathers and the buckles for feet are genius! So very fun... I know you'll find the perfect spot in your home for it. Aw, thank you, Sarajo! I'm waiting for Pat to get the frame made before I pick a spot so I have an idea of how large he'll be in the end. I hate waiting. Ha! 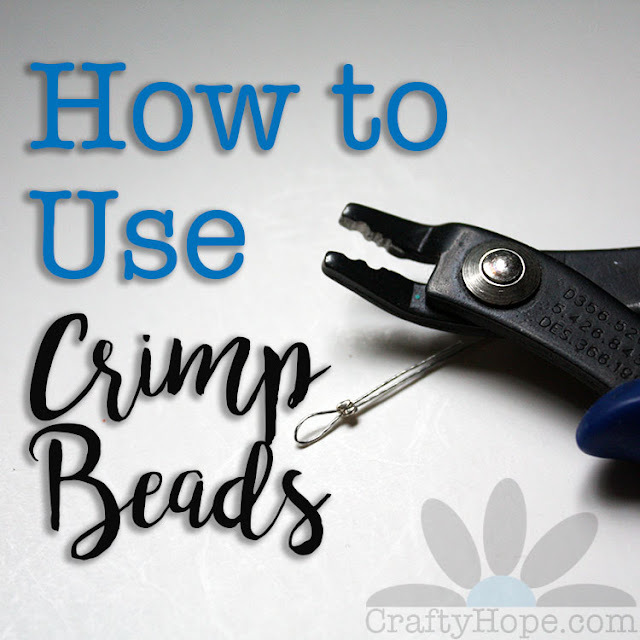 I love that you dropped everything for your crafty inspiration! Using the keys for the chest bib is genius, they add just the right texture. I love your necklace too, so delicate. Thank you for playing along with us again! Lindsay, I had too. Once the idea struck, there was no turning back! I had a lot of fun with the challenge, always do. It really helps me branch out and make art that I either wouldn't have or have been just putting off. And, the inspiration from the team is always so fab! The owl piece of art is indeed stunning! I can't have enough of looking at it, so creative, so artistic and so whimsical! The eyes, feet and feathers - awesome! 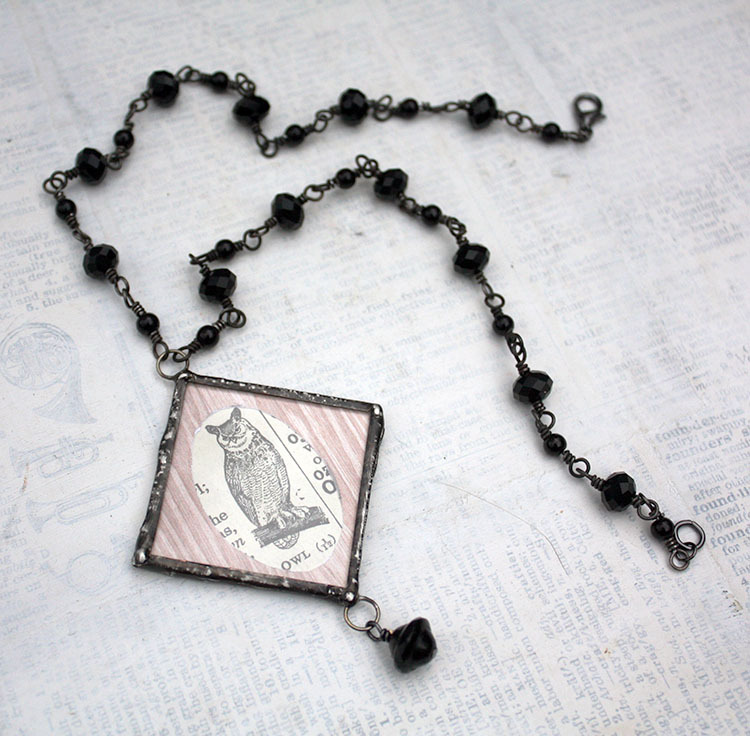 And I love the necklace idea - framing the old print worked fabulous! Thanks so Laney! I'm absolutely smitten with him. And, so glad I could prove that all the bits and bobs I've been hoarding indeed had a purpose after all! 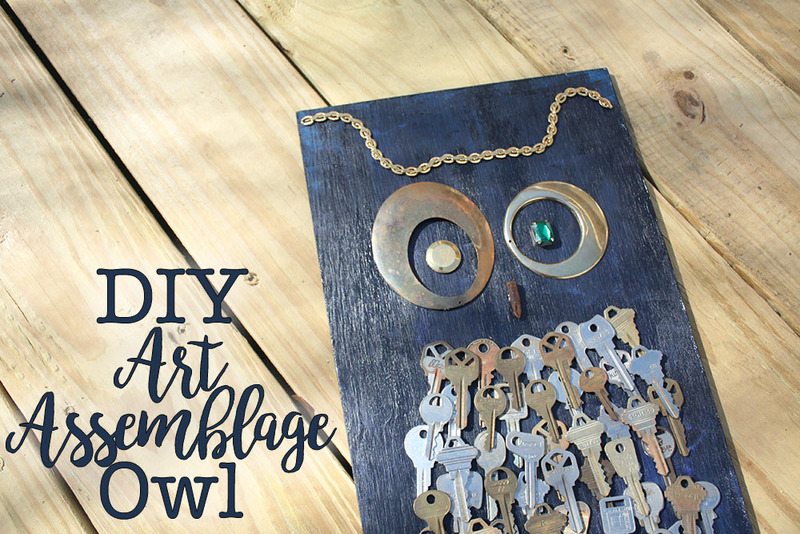 That assemblage owl! Love love love! I like all the small additions you've made - the drill bit, the buckles, the chain - that complement the main body. And I like the simplicity of your necklace. Anita, Thank you! I'm still surprised at how easily the components came together. 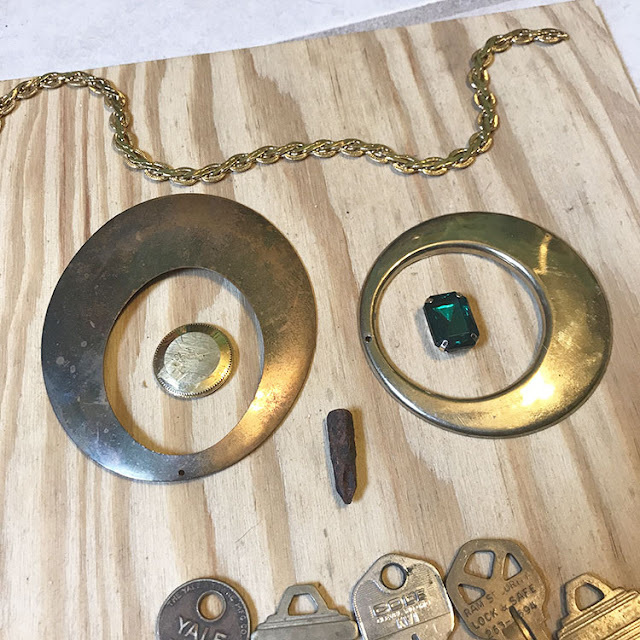 I pulled out some bits and suddenly I had an owl! I appreciate you taking the time to hop by! Your assemblage owl is brilliant! What an original take on this theme. I'm so inoressed. Aw, Linda, thank you! I couldn't be happier with how it came together myself. I'm so glad I pushed myself to think beyond jewelry for this one. It really worked out. I adore your owl! I love keys and the layered effect is wonderful and then the buckles for feet are so cute but I really love the rusty drill bit for a beak! What a wonderful and creative way to make art!!! I have never tried assemblage art but your work really makes me want to have a try! Niky, Definitely give it a go! I was a little stunned that it was so much easier than I thought. And, with your eye and talent, you'll have something amazing in no time! I love your owl piece - that was totally inspired. I loved watching the process! 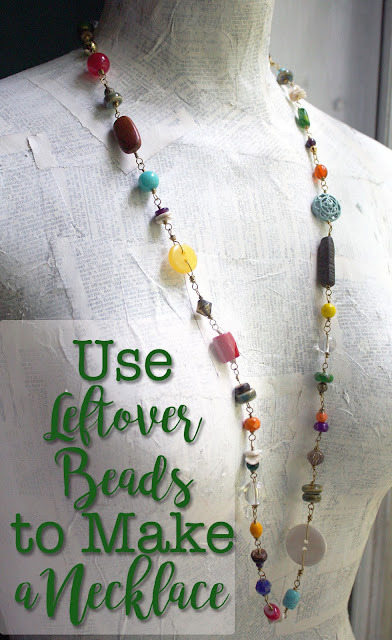 Love how your necklace turned out and the use of the paper! Both are fantastic pieces! Marsha, I'm so pleased that joy shows in the assemblage owl. He does make me smile every time I look at him! Thanks for hopping by and giving me another reason to smile.